Dawkins a Free Agent — Possible Philly Return? Former Eagles Safety was feared for his big hits and intensity on the field. Broncos safety Brian Dawkins will become a free agent after this season. Any chances of him returning to the Eagles? Unlikely. Dawkins is unsure whether or not he will play a 14th season in the NFL. He missed the last 5 games of the season including two playoffs games due to a neck injury. He is on record saying that if he were to return it would be back to Denver. While it’s unlikely he will suit up for the Eagles, it is probably a safe bet that Brian will sign a one-day contract with the Eagles to officially retire with the team that drafted him in 1996. 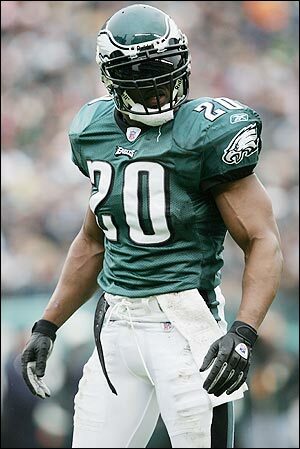 Dawkins is currently the only Eagle who might be a guaranteed inductee into the Hall of Fame in the future. He was drafted in 1996 and was released at the end of the 2008 season. He is known for his hard hits, and tough attitude. A true leader for the Eagles defense during his career.